GRAND PERFORMANCE: Harney Elementary students put on a Veterans Day performance for their relatives that have served in the armed forces on Wednesday. 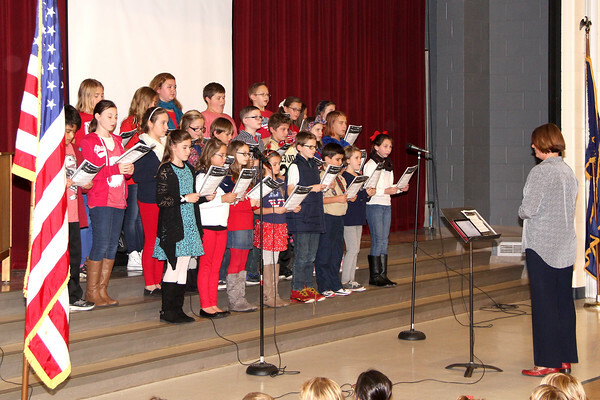 The performance included songs 'America The Beautifu'l and 'Thank A Ve't sung by the fifth-grade choir and led by music teacher Julie Lakomek. Pictured are (front, from left) (middle, from left) (back, from left). Also included was a slideshow featuring famile members that have or are serving in the armed forces. Boy Scout Troop 359 presented and removed the colors.